COLUMBUS — With warmer temperatures and increased rainfall due to climate change, there will likely be more “prolonged occurrences of low-oxygen ‘dead zones’” and “harmful, lengthy, and dense algae growth in the Great Lakes,” according to a federal report on climate change. “We’ve already seen in water temperature, a decrease in lake ice cover and changes in the circulation of the (Great) lakes which is how oxygen and nutrients are mixed in the waters,” said Jenna Jorns, program manager of the Great Lakes Integrated Sciences and Assessment, one of eleven National Oceanic and Atmospheric Administration-funded regional centers, which works to manage risks from climate change in the Great Lakes. “These changes are compounded by existing stressors … All together this impacts habitats, fisheries, and coastal communities as well as regionwide with shipping, transportation and tourism sectors,” said Jorns, who is also an author of the national climate report’s Midwest chapter. 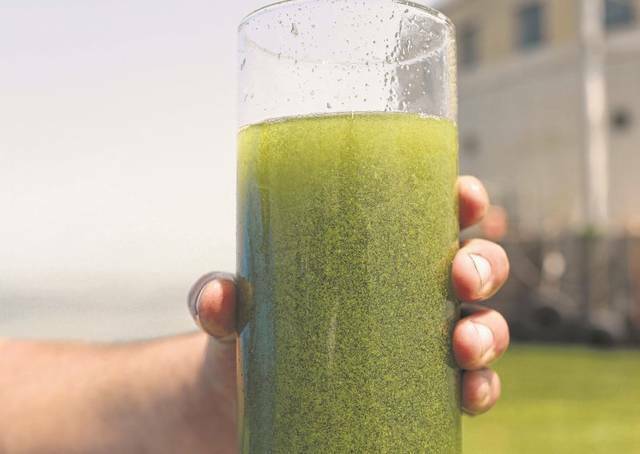 The report was released last month, ahead of two state meetings this week about the future of Lake Erie where four years ago blooms from the lake contaminated the Toledo’s water supply, making it unsafe for residents. Each year, the algae plaques the lake with green scum. In July, Gov. John Kasich issued an executive order that would designate eight watersheds that drain into the western basin of Lake Erie as distressed. The designation would restrict farmers’ use of fertilizers that cause the blooms. “Watershed planning can be used to reduce water quantity and quality problems due to changing climate and land use,” according to the federal report. At 1:30 p.m. Monday, the Joint Committee on Agency Rule Review will hold a hearing on a proposed rules package from the Ohio Department of Agriculture (ODA) for the governor’s order in the Senate Finance Hearing Room at the Statehouse. There are a few potential outcomes. The committee could send the proposed rules back to ODA. They could recommend to invalidate portions of or all of the rules in the package. If that happens, a joint resolution is created and introduced in the Ohio Senate and Ohio House, and the resolution must be passed by both chambers. The committee could also take no action and ODA could make the rules effective after 65 days. At 10 a.m. Wednesday, the Ohio Lake Erie Commission will hold a quarterly meeting at the Ohio Environmental Protection Agency’s Central Office, 50 W. Town St., in Columbus, to discuss taking water quality assessments in the Maumee River at smaller-scale increments spanning 12 to 25 miles, said Sandra Kosek-Sills, an environmental specialist for the commission. The water quality standards are set by the Great Lakes Water Quality Agreement between the U.S. and Canada. Testing the water on a smaller scale would help track progress and would aid in trying “to identify where higher producing (phosphorous) levels are,” she said. Officials are waiting on the new administration coming in next month to determine next steps. There still needs to be more research, he added. “We do not have all of the answers yet. What’s important is that when farmers have the new science, they act upon it and take the steps the science says makes sense. But we’re not done with that process,” Cornely said. Madeline Fleisher, a senior attorney with the Environmental Law and Policy Center, a Midwestern public-interest, environmental legal advocacy and eco-business innovation organization, plans to attend the commission meeting. Last month, the organization used the Clean Water Act to draft a citizen suit complaint with the U.S. Environmental Protection Agency, stating the agency has failed to hold Ohio accountable when it comes to total maximum daily loads for the western basin of Lake Erie. The daily loads are the amount of pollution that a body of water can handle and still be considered healthy. If action is not taken in 60 days, the organization could file a lawsuit. It’s not the first time the group has sued. The organization previously filed a federal lawsuit centered on the impairment designation of the western basin. The court determined Lake Erie did not meet water quality goals due to phosphorous pollution and is considered impaired, Fleisher said. “Although we were happy to get the result of the impairment designation, in our view, it’s that total maximum daily load that’s the can opener to start to move Ohio to fixing the problem,” she said. The climate change report only makes this approach more important, Fleisher said. “(It) basically predicts with a lot of confidence that there’s going to be more rainfall, heavier rainfall in these big storm events are what cause a lot of the runoff that drives the harmful algal blooms,” she said. “That’s something that needs to be accounted for in how Ohio, and the entire region, … tackle(s) the algae bloom problem.” she said.